Technology’s last frontier has long been understanding the nuances of human behavior, intelligence and personality traits. While we strive to improve workplace productivity through technological advances such as artificial intelligence (AI), predictive analytics, process automation, and so on, the reality is that we still aren’t optimizing our most important asset: our people. What if we could predict how efficient a manager would be in guiding his or her new team? Or know the combined creative power certain personalities working together on a team would have before setting them loose to sink or swim? As AI and other technological innovations continue to automate menial tasks, there’s an opportunity for organizations and employees alike to elevate employee performance to achieve even higher levels of productivity. Especially in today’s everything-as-a-service economy (XaaS), where new, previously-unthought-of services offerings (think: the Uberization of business) are delivered through continuous customer relationships instead of discrete transactions, the human element becomes even more important. Furthermore, a tight job market and talent shortage is making it increasingly important to recruit, hire and retain the best employees. In fact, according to Glassdoor, companies in the United States spend about $4,000 and 24 days to hire a new employee. So, how do you not only hire and keep new employees, but also make sure they’re set up to successfully leverage their strengths on a team made up of the personalities and needed for them to thrive? Of course, managers play a huge role in the professional development and work environment employees experience every day. In fact, a Gallup study of 7,272 US adults, found half had left a job at some point in their career to get away from their manager. This is because it’s nearly impossible to know how a manager will perform or how different personalities will mesh when on a team together before seeing them in action. In 2017, the US spent $161.1 billion on training, including training managers to “manage better.” However, many curriculums don’t take into account the different personalities present in the workplace. In fact, two-thirds of managers are uncomfortable communicating with employees and 87 % wish they’d received more training before taking on the role. Obsolete methods of appraising and adjusting employee performance, such as competitive rankings and annual reviews, have been shown to be a waste of resources compared to processes that enable regular feedback for the entire organization. 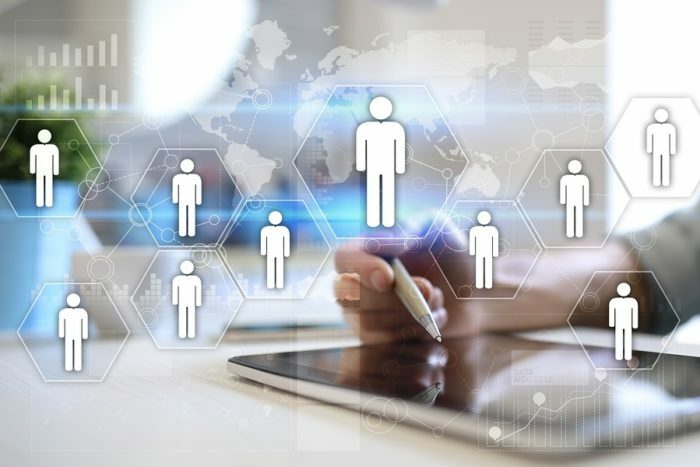 In a time where everything lives in the cloud and personalization and automation exist everywhere, why are we still living in the Stone Age when it comes to talent management? As more organizations come to understand that each person responds differently to work environments, stressful situations, and team dynamics, and a one-size-fits-all approach doesn’t work for anyone, it’s time to think about how technology and big data can help us to understand the human element of management. Modern technology has enabled companies to apply methods of performance improvement on a larger scale than previously possible. With cutting-edge technology at our disposal, it’s possible to layer behavioral information and insights throughout the talent management lifecycle to help managers give employees highly effective and meaningful feedback, coaching and communications. Built on the foundation of personality assessment, which are popular during the hiring process, powerful talent intelligence programs can further extend the usefulness of these assessments to provide managers with valuable insight into the management preferences of their direct reports. AI is emerging as another solution for talent management. There are opportunities beyond the menial tasks AI has typically been responsible for taking over. AI can improve the post-hire aspects of the employee experience and help to design tailored leadership training for managers. Using talent management technology to optimize teams produces results, including improvements in the quality of new hires, reduced time to fill an open position, decreased turnover, and overall performance advancements. Managers also have insight into their team’s problem-solving skills, emotional and motivational patterns, and interpersonal skills, allowing them to more effectively assign projects and tasks. Employees truly are a company’s greatest asset, and it is increasingly important to leverage the unique skills that they bring to the table. As cutting-edge technologies increase efficiencies of repetitive and menial tasks, talent management software can help companies in a variety of ways – from hiring the very best, to managing and developing them daily, to promoting and retaining them for the long haul. Henk joined Unit4 in 2017 as chief human resources officer responsible for developing and executing human resource strategy in support of the overall business plan and strategic company direction, specifically in the areas of succession planning, talent management, change management, organizational and performance management, training and development, and compensation. He joined Unit4 from Vion Food Group, an international meat producer with more than 11,000 employees. Prior to that, Henk held senior leadership positions in a number of large international organizations including Philips and Wessanen. He graduated from Nyenrode Business University in the Netherlands in 1981.